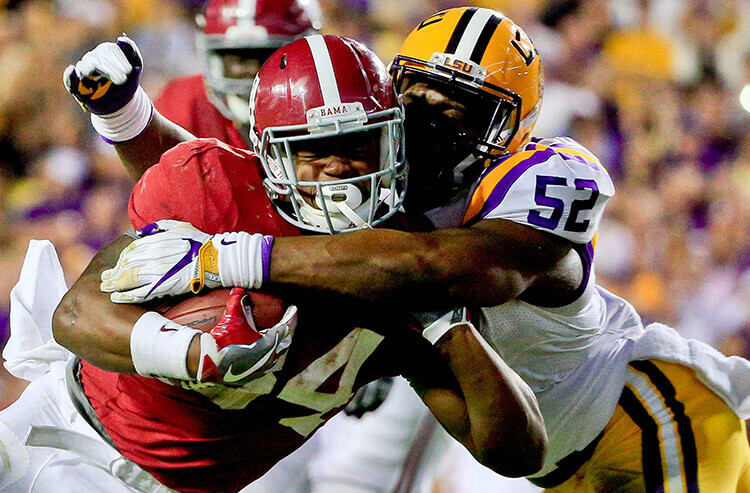 Alabama vs LSU college football betting picks and predictions: Two TDs too much? It's the marquee matchup of the college football season to date – and visiting Alabama has been so dominant, it's still favored by two touchdowns against rival LSU in a pivotal SEC showdown. The Crimson Tide have been the class of Division I through the first nine weeks of the college football season, having won every game by at least 22 points en route to a lock on the No. 1 ranking. But No. 3 LSU represents Nick Saban's toughest test to date, armed with the seventh-ranked scoring defense and coming off impressive back-to-back home victories over Georgia and Mississippi State. Alabama has been dominant in the past – but never this much. The Crimson Tide are lapping the rest of the country in scoring, averaging a whopping 54.1 points per game – more than four higher than second-place Houston. And that dominance is even more pronounced in the opening quarter, where the Crimson Tide have averaged 20.6 points. To put that in perspective, nine Division I teams average fewer than 20.6 points per game. And the Tide have done it with touchdowns, scoring 58 compared to just nine field goals. Look for a Tide touchdown to open the scoring in this one. This might be the first time all season Alabama quarterback Tua Tagovailoa plays an entire game – but given how he's fared so far in 2018, that's no guarantee. Tagovailoa has been absolutely sensational in the first half this season, completing nearly 73 percent of his passes for 1,788 yards with 22 touchdowns and zero – that's right, zero – interceptions. LSU might boast one of the top defenses in the nation, but no team has even been able to slow Tagovailoa down. 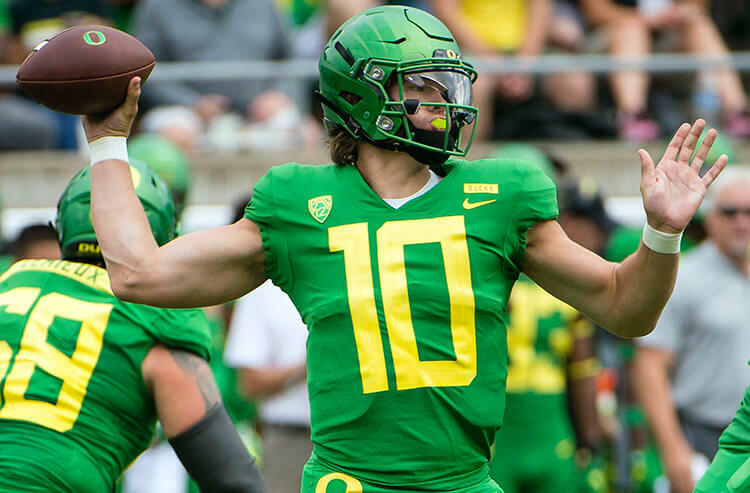 There's a reason he has yet to throw a fourth-quarter pass this year – and we like him to continue that dominance en route to a comfortable Alabama half-time lead. Let's have some fun with this one. 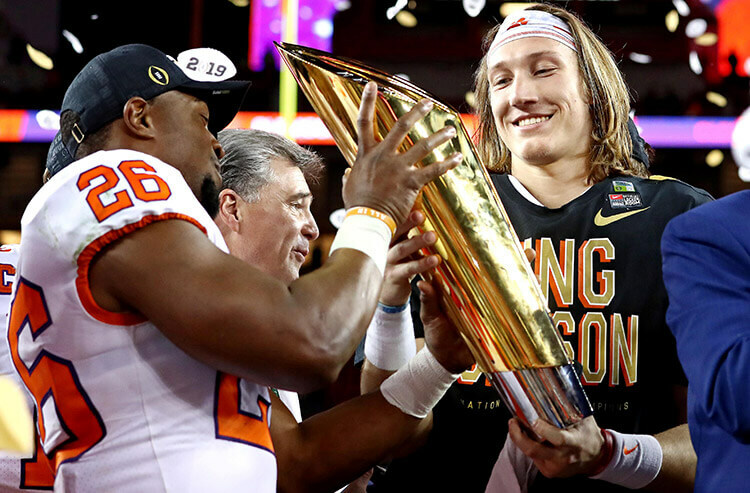 Tiger Stadium is expected to be raucous, with the home team angling for a spot in the College Football Playoff and hosting the top team in the nation with the upset on their mind. The stadium itself holds more than 100,000 people, and drew a record-tying crowd for Alabama's previous visit, a grind-it-out 10-0 victory for the visitors in November 2016. It's going to be deafening at Tiger Stadium – and that's something Tagovailoa and the Crimson Tide haven't had to deal with this season. We recommend taking the visiting team to call the first timeout, with the crowd getting a big assist. Oddsmakers have so much respect for the LSU defense that they've made the total lower than Alabama's season scoring average. And there are plenty of reasons to like the under in this one: The Crimson Tide have gone below the number in 40 of their previous 60 November games, while the Tigers are 12-3 to the under in their last 15 games this month while cashing the under 10 times with a push in their last 12 games following a bye. The teams have also gone below the total in four straight meetings overall, and five in a row in Louisiana. We're leaning toward the under in this one. Alabama shouldn't expect to put up a 50-burger in hostile Tiger Stadium, but it has everything going for it heading into Baton Rouge. 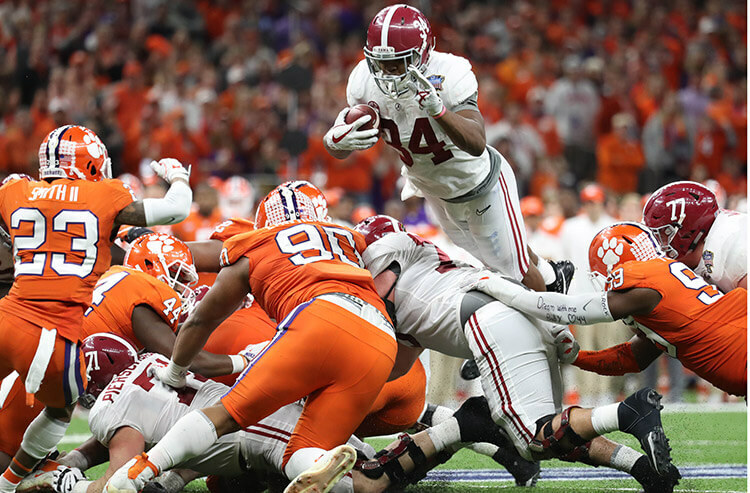 In addition to being led by an incredible quarterback talent in Tagovailoa, the Crimson Tide have covered 15 of their previous 22 road games and are 4-1 ATS in the previous five head-to-head meetings between the teams. Add in the fact that LSU has actually been rather ordinary – ranking outside the top 100 in average passing yards and outside the top 60 in scoring offense – and it's hard to see how the home team will keep pace. We suggest taking the road team to cover.